I loved this story from beginning to end, written extremely well (apart from the typos and spelling mistakes) so well that it hooked me from the start and pulled me along the stream of twists and turns and bends enough that it was not easy to breathe - just as one thing was solved, along came another problem.A tale of two sisters, one where we see the horrors of cruelty, the delight of togetherness and how the bonds of family should never be underestimated.Filled with believable characters, some likeable, others not, however the intertwining of them all within the plot made this book a definite page turner.Highly recommended. James Paddock is a master storyteller. 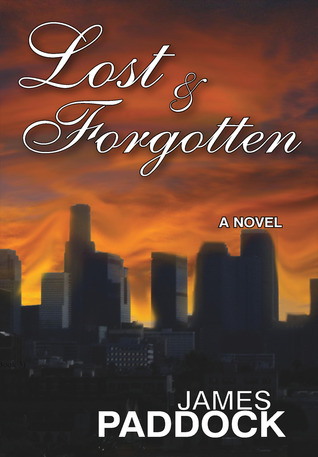 Lost & Forgotten is filled to the brim with color, action and mystery. Things have a way of turning on a dime so it’s not possible to guess what is going to happen next.As good as the action, what stuck with me, long after I had read the words "The End", is how tuned in Mr. Paddock is to what makes people really tick. Most writers create attractive main characters, but he takes us into the lives of two women who are so ugly people actually avoid looking at them. His understanding of what it must feel like to have to live with that type of unfortunate characteristic is spot on the money. I suspect Mr. Paddock is as good at observing people as he is about writing about them.Not only do I recommend Lost & Forgotten I think it is by far the best book I have read all year. Identical twin sisters separated in childhood, are reunited after a series of life changing events. Kidnapping , amnesia, and facial reconstruction surgery. Ironically the villain in the story sets the wheels in motion, when he mistakes one sister for the other. The story was good. Characters were authentic. Only real drawback was length. The story could have been told just as well in fewer pages. The book was very interesting. I didn't want to set it down it had my attention. Just when I thought I figured what was next I was wrong. James R. Paddock - James Paddock spent his youth in the Big Sky Country, of Montana, graduating Charles M. Russell High School in Great Falls. The following forty-plus years include a Bachelor of Science degree from the University of Idaho, service with the U.S. Navy, owner/operator of a small business in South Carolina, a career as a Graphic Designer and a marriage that produced three fine children, who then have provided bragging rights for many extremely fine grandchildren. James is now living in Florida with his wife, Penny, enjoying the sun and working on his next novel.